Whether you realize it or not, you’re an example. It doesn’t matter if you think you’re too weak or inadequate to be one — there are people who look up to you and are watching to see how you live. And God wants you to be His representative to them. Jesus came into this world as a Servant, humbly giving His life so that we would be reconciled to the Father. And God’s will is that we imitate what He did for us by serving others. We perform loving acts of service that meet the spiritual and practical needs of those around us so that they’ll grow closer to Him. There are so many people around you in need today — not just physically or financially, but emotionally and spiritually as well. Everyone you meet needs someone to encourage him or her. Will you make time to reach out and show them the awesome, unconditional, sacrificial love of Christ? Remember, God sees everything you do in His name and will bless you for all you do in obedience to Him (Hebrews 6:10). Jesus, show me where I can serve others with Your love and compassion. Work through me to draw others to Yourself. Amen. My hope is in Jesus because He is worthy of my service. Do you want to see more of God’s work in your life and experience His presence in a more profound way? Would you like the capacity to perceive His protection and provision in your work, trials, relationships, and in every aspect of your existence? Jesus tells you the way: pursue purity. When you purge your life of all the behaviors and attitudes that displease God, you clear your vision of the impediments that usually obscure His work in you. 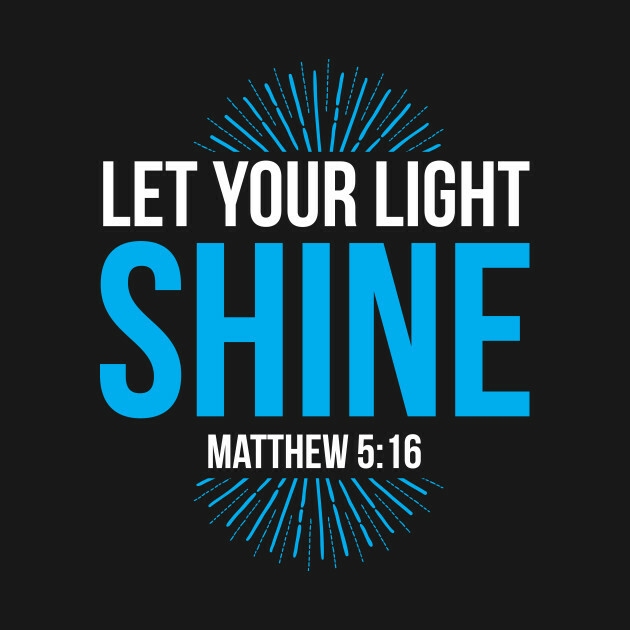 You receive a clearer understanding of how He’s behind every good gift you receive (James 1:17) and how He gives meaning to all your struggles (Romans 8:28). Without sin clouding your thinking and deadening your spiritual senses, you become more aware of how the Father is engineering all circumstances for your ultimate good. So keep your heart pure by seeking and obeying the Lord. Invite the Holy Spirit to convict you through God’s Word and repent of sin as soon as you’re conscious of its presence. And in all things, do as He says. After all, obedience always brings blessing, and when the reward is seeing God, you’re receiving the ultimate desire of your soul. It’s certainly worthwhile! Jesus, purify my heart and help me see You in every aspect of my life. Amen. My hope is in Jesus because in Him is everything I need. ”You fathers—if your children ask for a fish, do you give them a snake instead? Or if they ask for an egg, do you give them a scorpion? Of course not! So if you sinful people know how to give good gifts to your children, how much more will your heavenly Father give the Holy Spirit to those who ask him” (Luke 11:11-13 NLT). God always answers every single prayer—just not always the way you want—and he does it in one of four ways. When the request is not right, God says, “No.” Just like parents say “no” to their kids for a hundred good reasons, God doesn’t owe you an explanation every time he says “no” to your request. When the timing is not right, God says, “Slow.” There’s a big difference between a delay and a denial. “No” and “not yet” are not the same thing, and learning and accepting the difference shows spiritual maturity. When the request and timing are right, but you’re not right, God says, “Grow.” He wants to do something in your life before he answers your prayer because you’re not yet ready to handle the answer. When the request is right and the timing’s right and you’re right, then God says, “Go.” God often gives us the green light to our prayers—and it’s a reason to celebrate! 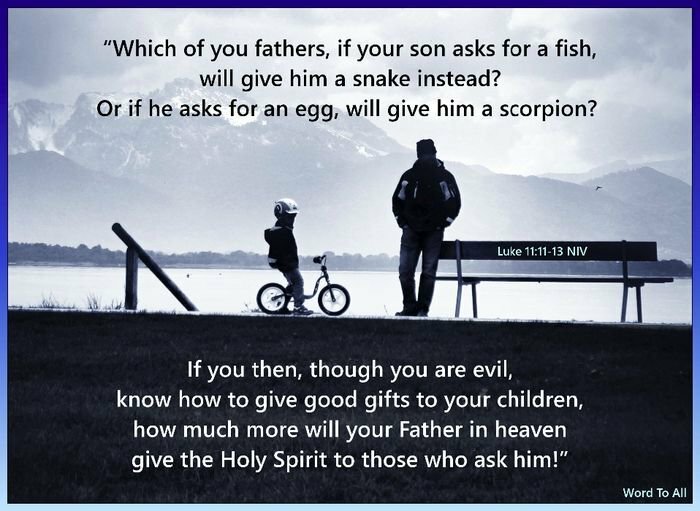 Luke 11:11-13 says, “You fathers—if your children ask for a fish, do you give them a snake instead? Or if they ask for an egg, do you give them a scorpion? Of course not! So if you sinful people know how to give good gifts to your children, how much more will your heavenly Father give the Holy Spirit to those who ask him” (NLT). “‘My thoughts are nothing like your thoughts,’ says the Lord. ‘And my ways are far beyond anything you could imagine. For just as the heavens are higher than the earth, so my ways are higher than your ways and my thoughts higher than your thoughts’” (Isaiah 55:8-9 NLT). It is not God’s job to make every moment of your life easy. If he did, you would never grow up! You’d be immature, spoiled, and incredibly self-centered. That is not what God wants for you. So when you’re in pain and you pray and don’t see the answers, should you give up? No. Your job is to keep praying and keep trusting God with the answer, because you know that everything he does and everything he allows in your life he will use for good. You accept a “No,” a “Slow,” a “Grow,” or a “Go,” because you know that God is a good Father, even when you’re in pain. If a doctor does surgery on you and cuts you open, that’s going to cause some pain. But if that surgery saves your life, would you say that’s a bad doctor? No, because she just saved your life! I’ve had a lot of pain in my life. In fact, almost everything I’ve learned in life, I’ve learned through pain. I’ve learned nothing from pleasure. I’ve learned very little from success. But I’ve learned boatloads through pain. God is more interested in making me a man of God than he is in making me comfortable. And God is more interested in making you a man or woman of God than he is in making you comfortable. You will be comfortable for all of eternity in heaven, but right now, you’re in the grow-up stage, so you’re not going to get everything you ask for. 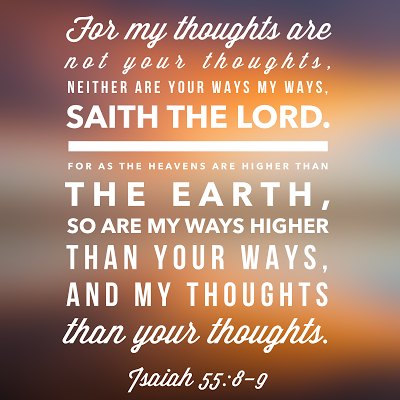 In Scripture, we read, “‘My thoughts are nothing like your thoughts,’ says the Lord. ‘And my ways are far beyond anything you could imagine. For just as the heavens are higher than the earth, so my ways are higher than your ways and my thoughts higher than your thoughts’” (NLT). While you’re praying at one level, God is thinking about your life at a much higher level and from a much bigger perspective. He wants good for your life even more than you do. ”For the Lord is always good. He is always loving and kind, and his faithfulness goes on and on to each succeeding generation” (Psalm 100:5 TLB). Don’t you hate it when people call you on the phone and don’t identify themselves? They just jump right in as soon as you answer, assuming you know who it is. When you don’t know if it’s the pope or the pizza guy on the other end, it affects your conversation a lot. You don’t know what tone to use. You’re a little more guarded. Even when you’re talking with someone in person, if you don’t know much about that person, you tend to be more formal. I can always tell when people I run into around town are a part of Saddleback Church because they’ll say, “Hey, Pastor Rick, how’s it going?” But when someone says, “Hello, Reverend Warren,” it’s clear they know who I am but not that much about me. Proximity and relationship determine how you talk to somebody. What you know about somebody determines your conversation with that person. The same is true with God. Your understanding of what God is really like shapes everything else in your life, including your prayer life. A lot of people have misconceptions about God. Some people think he’s a grumpy god, who’s cranky and upset all the time, and they think they can never please him. Some people picture the “crouching tiger” god, who is ready to pounce on them when they make the wrong move. Some people have the flaky father god, who’s moody and changes his mind continually about them. Some people think of God as the cosmic cop, whose goal is just to make sure you keep the rules, or the dictator god, who’s never satisfied and always demanding more and more and more. And some people have what I call the Play-Doh god and just make him into any form they want. Ever heard somebody say, “I like to think of God as . . .”? Well, I’m sorry, but it doesn’t really matter what you think God is like. It matters what the Bible says He is! SOURCE: Culled from Daily Hope with Rick Warren. Anger can wreak havoc on both the body and soul, but its scope extends beyond the individual and impacts everyone nearby. In this way, bitter outbursts and silent resentment are not just our own personal issues. An angry spirit is contagious. It can pass from one person to another—and even from one generation to the next. Workplaces can become tense environments full of caustic words and attitudes. Ire turns homes into battlegrounds of verbal explosions or silent hostility. Even churches suffer from malicious gossip and fights over personal preferences. 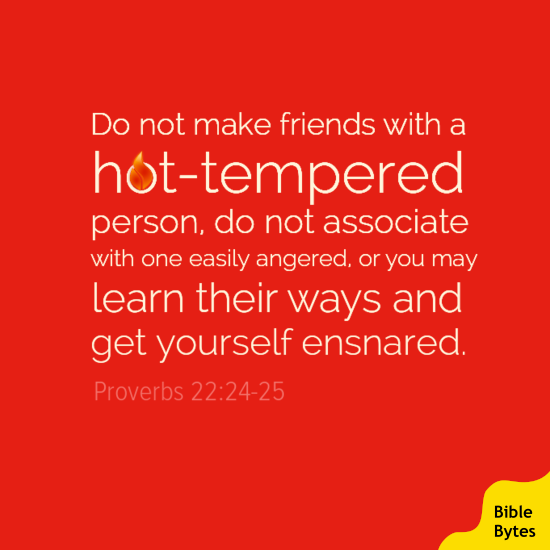 God created us to live in fellowship with others, but anger can poison our relationships. Tragically, those closest to us are the ones who suffer the most. Children learn to respond to life’s situations by observing their parents’ example. They then develop similar attitudes and patterns of behavior. We need to give serious thought to what kind of heart we are passing down to our sons and daughters. Thankfully, God is in the heart-changing business. Just as we learn an angry person’s ways by association, so we can learn righteous ways by walking closely with the Lord. Christ calls us to come, learn from Him, and find rest for our souls (Matt. 11:28-29). Which would you prefer: churning anger or Christ’s peace? Both require sacrifice. To maintain anger, you forfeit healthy relationships and possibly a godly heritage for your descendants. But to acquire peace, you simply ask God to help you leave grudges, personal rights, and insults at the altar. Certain. Comfortable. Predictable. These are all words I long to use to describe my life. I suspect you’d be okay with these being the defining terms of your life, as well. But what if the comfort and certainties we crave today are a deadly recipe for complacency that will draw our hearts further and further away from God? There are many examples of this in the Bible, but let’s look at one tucked into Jeremiah: “Moab has been at rest from youth, like wine left on its dregs, not poured from one jar to another — she has not gone into exile. So she tastes as she did, and her aroma is unchanged” (Jeremiah 48:11, NIV). On the surface, it may seem like the nation of Moab has it good. They are comfortable. Life seems predictable. They’ve been at rest for a long time. They haven’t known what it’s like to get caught off-guard. To suffer. To endure hardships due to circumstances beyond their control. Life feels good, so it must be good. No disappointments. No difficulties. But this verse is very clear that this is not what’s best for them. People left in a complacent place for too long become tainted like impure wine. Wine left on its dregs, not poured from one jar to another, means it’s been sitting in comfort for so long that it has absorbed the aroma of complacency. Winemakers during Jeremiah’s time would pour wine from jar to jar for two reasons. First, so the wine wouldn’t absorb the flavor of the vessel. And second, to rid the wine of the dregs or sediment that would settle into the bottom and prevent the wine from being pure. The Moabites were not jarred from their complacency. Therefore, their culture was saturated with satisfaction apart from the Lord, and their people were full of impurities. They had no need to draw upon the Lord’s strength, so their hearts were far from Him. The Moabites were lulled into a false sense of security. Without challenges and changes, people tend to grow increasingly distant from God and resistant to His ways. In the meantime, their neighbors, the Israelites, were forced to depend on God and learn to survive suffering, captivity, enslavement. The Israelites appear to be the ones not being “saved” from hardship by God. But if we look through the lens of what’s best in the long term, Israel was being strengthened by God for her eventual good. Settling into complacency might seem to be comfortable for today, but in the long run we, like the Moabites, may suffer more if we go untouched by God for too long. Make no mistake: Being lulled into a false sense of security is worse than going through the process of suffering. Scripture reveals the eventual fate of the Moabites was one of complete ruin. (Isaiah 16:6-10) It would have been better for them to go through the Israelites’ experience. To go from vessel to vessel and experience suffering in doses that made them strong enough to handle suffering in even larger doses. It’s like getting a colonoscopy or mammogram (neither of which are comfortable at the time) just to make sure you catch something wrong early, while treatment is possible. Or like getting a vaccine before going on a missions trip to a country where diseases are an everyday risk. It’s so much better to get a small exposure to the deadly disease to help build your immunity than be exposed and risk not having the necessary strength and immunities to fight it. We must sip the suffering of today, so we don’t have to drown in the devastations of tomorrow. It’s a process that doesn’t usually feel good at the time, but God assures us it will be good in time. Father God, thank You for reminding me that You’re more interested in preparing me than keeping me comfortable. I confess no part of me likes suffering. But I know I can trust Your heart for me. And that means I can trust You when You allow me to be poured into situations I would rather avoid. Keep shaping me. Keep strengthening me. I know the work You’re doing in me is good. In Jesus’ Name, Amen. ”We know that God causes everything to work together for the good of those who love God and are called according to his purpose for them” (Romans 8:28 NLT). God is a good God, and he has good plans for your life. Other people have bad plans for your life, and you may make some bad plans yourself, but God only has good plans for your life. Not everything in your life may be good—God didn’t promise that. He didn’t say everything that happens in your life would be good. Friend, we live on a broken planet. Nothing works perfectly. Your body is broken. It doesn’t always work the right way. Your mind is broken. It doesn’t think the right way. The weather is broken, the economy’s broken, relationships are broken. Nothing is perfect. God did not promise us perfection. That’s called heaven! In heaven, there is no sorrow, sadness, sickness, or suffering. We should not expect heaven to be on earth, because the earth is filled with brokenness. But even in the middle of all this brokenness, God has a good plan for your life. He is greater than your bad choices, and he can fit even foolish decisions into a good plan. What a God! He can turn crucifixions into resurrections. 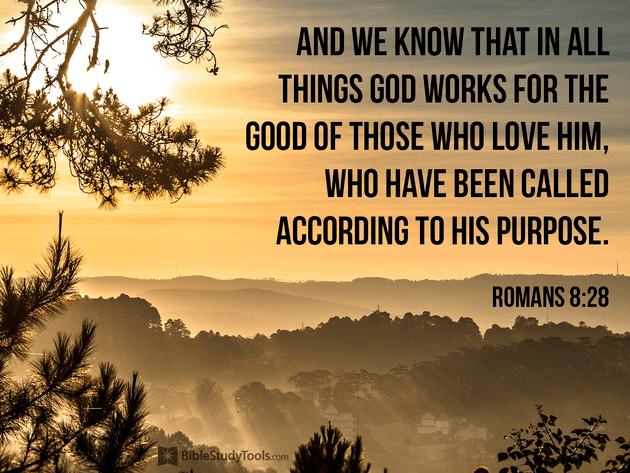 The Bible says in Romans 8:28, “We know that God causes everything to work together for the good of those who love God and are called according to his purpose for them” (NLT). This is not a promise for everybody in the world. Not everything is working together for good for everybody. But everything is working together for good for those who say, “God, I give you my life. I want to fulfill the purpose you made me for.” And even then, it doesn’t say all things are good. It says they all work together for your good—even the bad and even the bitter. Have you noticed that when you make a cake, the individual ingredients don’t taste good? Flour by itself does not taste good. Raw eggs do not taste good. Vanilla by itself does not taste good. But mix it all together, and you can create a tasty masterpiece. When you let God work all the “ingredients” together, God can take the bitter, put it in the batter, and make you better. Why? Because he’s a good God. The more you pray, the better you’re going to know your purpose. And the better you know your purpose, the more God can use everything in your life—even the bitter and broken things. What does trust really mean? Let me help you understand by using the word T-R-U-S-T as an acronym. “T” stands for trust…which means that if you are going to trust Him, you have to take Him at His word. Even if it seems like it is not true, you take Him at His word. If we will take Him at His word, He will guide us through the course of life and bring us across the finish line safely. “R” stands for rest. The Bible tells us to rest in the Lord. 1 Peter 5:7 says, Casting all your care upon Him, for He cares for you. Do not worry. Worry is like a rocking chair. It gives you something to do, but you don’t get anywhere. “U” stands for understanding. 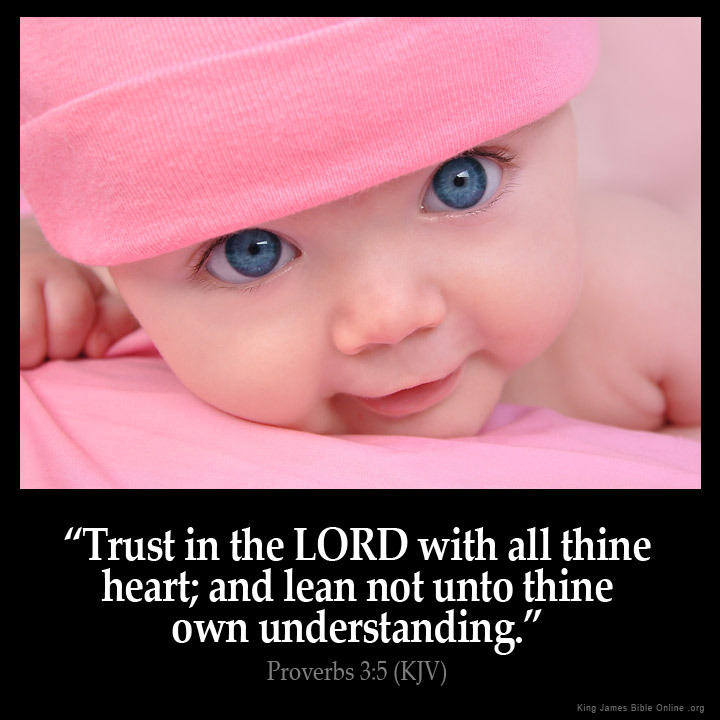 Proverbs 3:5 says, Trust in the LORD with all your heart, and lean not on your own understanding. Sometimes things just won’t make sense to your understanding. The final “T” stands for thanksgiving. We offer thanks to God in advance. Philippians 4:6 says, Be anxious for nothing, but in everything by prayer and supplication, with thanksgiving, let your requests be made known to God. When we offer thanks to God, it is an expression of our faith. SOURCE: Culled from Answers for each day. 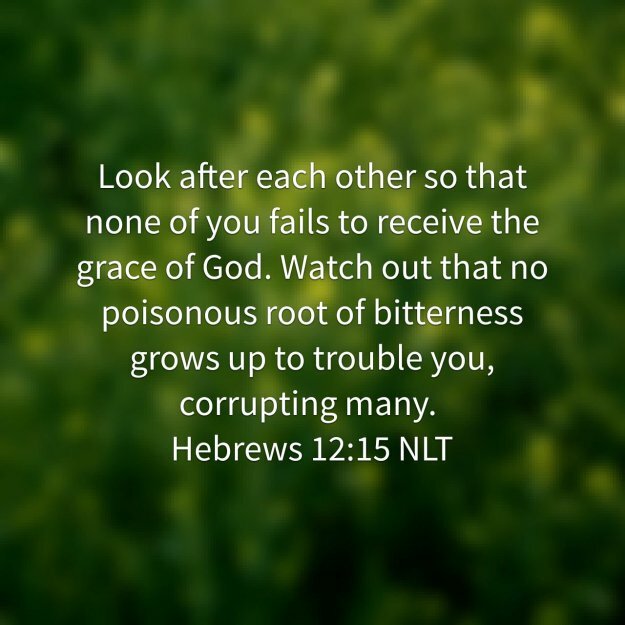 ” Be careful that no one fails to receive God’s grace” (Hebrews 12:15 NCV). How do you learn to “R.E.L.A.X.” in the liberating grace of God? Psalm 119:96 is a verse directed toward God, and it declares, “Nothing is perfect except your words” (TLB). What society tells you isn’t perfect. What popular opinion tells you isn’t perfect. What you learned growing up isn’t perfect. But God’s Word is perfect. When you get in the Bible and build your life on it, you will have a perfect foundation. The Bible says, “See how very much our heavenly Father loves us, for he allows us to be called his children—think of it—and we really are!” (1 John 3:1 TLB) When you become a follower of Christ, you’re not just a servant of God anymore. You are a child of the King. A servant is accepted on the basis of what he does; a child is accepted on the basis of who he is. A servant starts the day anxious and worried that her work will please her master; a child rests in the secure love of her family. A servant is accepted because of his workmanship; a child is accepted because of his relationship. What do you do about the uncontrollable things in life? “Cast all your anxiety on [God] because he cares for you” (1 Peter 5:7 NIV). When you’re fishing and you cast a line, there comes a point where you have to take your finger off the button and let it go. Just like the essence of casting is letting go, to overcome perfectionism you have to let go and let God do his work. A—Act in faith, not fear. Remember how you got into God’s family in the first place. Ephesians 2:8 says, “For it is by grace you have been saved, through faith.” There’s no other way to get into heaven except by grace. You’ll never be good enough, and you can’t buy your way in. It’s a free gift from God. X—Exchange your perfectionism for God’s peace. Perfectionism destroys peace. Jesus says in Matthew 11:28-29, “Are you tired? Worn out? Burned out on religion? Come to me. Get away with me and you’ll recover your life. I’ll show you how to take a real rest . . . Learn the unforced rhythms of grace” (The Message). What a deal! You’re going to fail a lot in life. But you don’t have to worry about it if you’ve received God’s grace. In fact, there’s only one failure you ever need to worry about: “Be careful that no one fails to receive God’s grace” (Hebrews 12:15 NCV). Receive it right now, and then relax! When we’re working for God’s kingdom and serving Him, we can feel amazing because we’re doing some of the things God’s called us to do. But we can also become exhausted, disillusioned and stressed. We can put extra pressure on ourselves because we’re working for, and serving, God, and we think that we must do everything we possibly can for Him. It’s great to have a good work ethic, and to want to do what we can for God. But we can’t give Him, and others, our best when we’re burnt out. The fact is, we can’t fill an empty bucket from a dry well. In order to keep giving out we must keep our batteries charged spiritually, emotionally, and physically. And that doesn’t just mean we need to stop and rest, although that’s really important. It means we need to rely on God’s strength, and not our own. When we try and do everything in our own strength, it’s easy for us to become exhausted and even resentful of what we’re doing, and who we’re doing it for. We need to recognise our dependence on God and ask Him for strength. The Bible says: ‘Those who hope in the Lord will renew their strength. They will soar on wings like eagles; they will run and not grow weary, they will walk and not be faint.’ That’s a great promise. When we’re feeling run down and tired, we know we’ve always got a source of strength we can go to. Eagles don’t just fly, they soar high above the storms below. 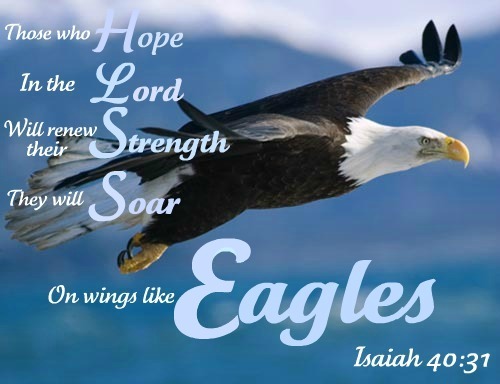 And when we go to God for the strength we need, we’re told we will ‘soar on wings like eagles’. With our own strength we may be able to fly for a while, but with God’s strength we can soar for a lifetime. Head online and research how eagles can soar above the storms. Then ask God to give you the strength you need to soar above any storms you’re facing right now.